09/10/2018 Washington, D.C. (International Christian Concern) – International Christian Concern (ICC) has learned that members of the Vishwa Hindu Parishad (VHP) severely injured three pastors in an attack on Saturday, September 8. The attack took place under the close watch of local policemen in Premnagar, located in the Barely District of India’s Uttar Pradesh State, where Christians were holding a two-day spiritual retreat. Pastor Ashok Benjamin, Pastor Vijay Masih, and Pastor Shivcharan were among those injured in the assault, sustaining wounds to their heads, hands, and lower backs. After the attack, Pastor Benjamin was able to stand witness in the police station amid a large crowd. As he reported the attack, still covered in his own blood, the police asked him what he was doing at the retreat. Although there was pressure from VHP members, the police did not file forced conversion charges against the three injured pastors. Instead, the police forced the Christians and radicals to agree to a compromise. 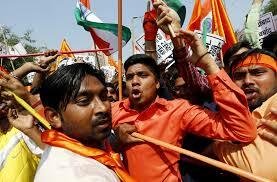 Two other anti-Christian attacks led by Hindu radicals took place in Uttar Pradesh in the past week. On September 2, police arrested pastors in Faizabad after they were falsely accused of forced conversions. The police kept the pastors in police custody for more than five hours, but later released them due to a lack of evidence.